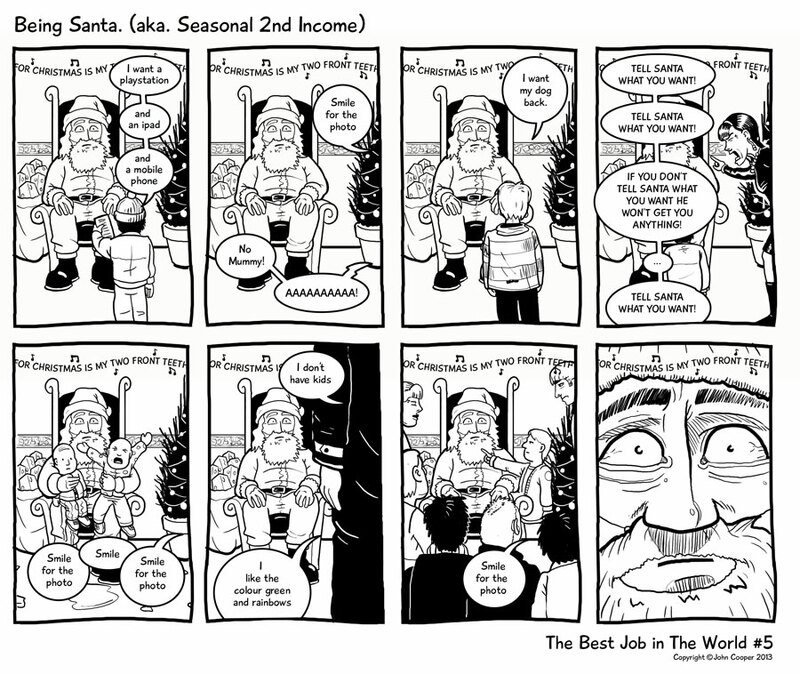 Best Job in the World #5 - Being Santa | Rocket Steps. The art of communication. So I was Santa for a bit, but I’m not now. Maybe next year. If you like these strips you can now get this Christmassy themed one and the first ‘7 ages of Comedian’ as cards. All you have to do is give me money. Click on the donate link and whatever amount you like, and you’ll be taken to the download page. Artwork is hi-res, A5 folded in PDF format.